Jamie Glenn/Daily Mining Gazette Team White attempts to clear the puck from in front of their own net during three on three hockey play Monday night at the Dee Stadium. The program helps develop players’ skills while also giving them a chance to have fun with the sport. 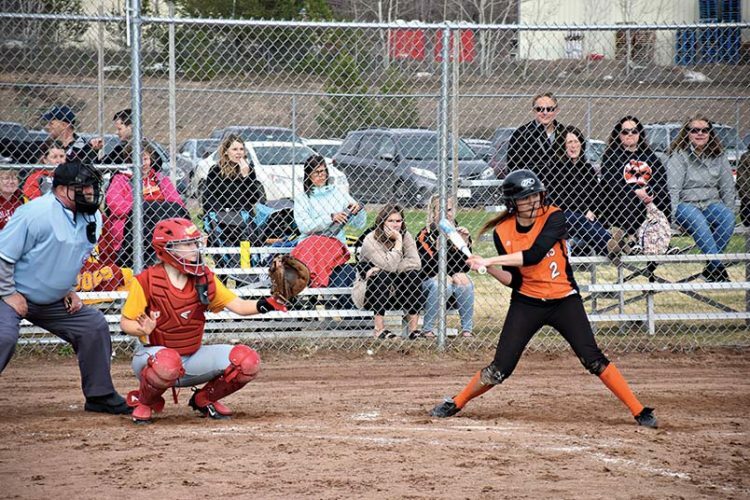 HOUGHTON — The fundamentals are key to any sport, along with fun. For local Squirt- and Peewee-aged hockey players, the opportunity to get some more ice time after their collective seasons have come to an end is back for its second season. Dee Stadium has become the nightly site for a group of relaxed 3-on-3 games. One of the program’s founders, John Donnelly, shared what inspired the group to come together and create the now six week-long program for the youth of the area. With a family chock full of hockey players, Donnelly says the competition is high in his house. 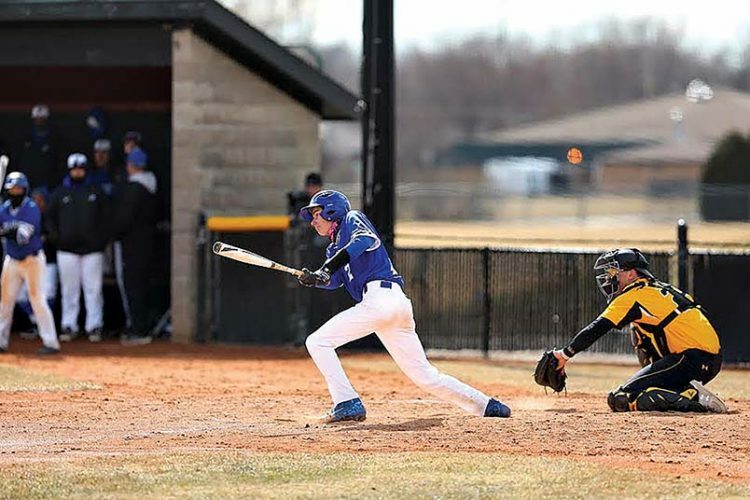 For most kids involved in the program, it’s not only something fun to do but also keeps them busy in between winter and spring sports before baseball takes off. “We always get done with hockey sometimes as early as February, (or) the beginning of March, and then you can’t play baseball outside,” Donnelly said. “Last year, a (group) of us set this up. 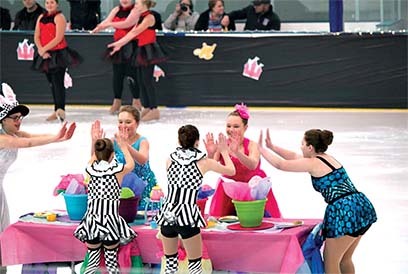 The program is meant to allow kids to skate freely with little restrictions allowing them to make the game strategy up as they go along. “We over-coach kids so much,” said Donnelly. “Here, if you come there isn’t any coaching on the bench. The kids just kind of make the game up as they go (and) there are phenomenal little plays that go on. We’ve got travel and the house (players, so there is a) mix of everybody. We try to come up with even teams, but that’s (difficult). Melissa Collard of Dollar Bay has two children involved in the program, one in each age group. “I have two players,” said Collard. “One plays today and one plays tomorrow. This is three on three (and is) a little bit different than the normal hockey, so really, at this level, it’s a lot of teamwork; just activity getting these kids off the couch and off the video games. (They are) learning the importance of their positions and how to play all together. Collard has two players at two different levels of play and she says it is fun for her to watch them both grow and change into two unique players, which makes it exciting for the whole family. The program brings kids together from all different local towns and schools allowing them to branch out and make new friends with kids they do not really interact with during the school year. A parent of two players, Eric Nettell spent some time volunteering at the concession stand during the skate Monday. Parents of players are required to complete eight volunteer hours for each player that participates to help keep the program running smoothly. Nettell sees this program as a fundamental stepping stone to prepare the young players for five on five play in the future. “I have two sons that play, (and I) have played and coached in the past,” he said. “I’m basically here with my boys. I’m putting in my time doing the concession stand. We have to donate hours per each kid that plays. Hancock native Forest LaCourt has been skating in the program for four weeks.